South Florida’s flat roads and beautiful weather make it a popular destination for motorcyclists. More than 600,000 motorcycles are registered throughout Florida, the majority of which are in the South Florida and Treasure Coast areas. When a motorcycle and motor vehicle collide, the effects can be devastating. Weight differences, and the limited protection riders have while on their bikes can cause debilitating injuries. Unfortunately, many bikers will suffer life-threatening injuries that can change their entire life. If you or someone you know have been hurt in a motorcycle accident caused by a negligent driver, you may be entitled to compensation. Weinstein Legal’s Fort Lauderdale motorcycle accident attorneys will review the details of your claim and work to help you recover compensation for your losses. Fill out our contact form for a free review of your motorcycle accident claim. Based on the Florida Department of Highway Safety & Motor Vehicles, the number of motorcycle crashes in the state increased by 3.5% between 2014 and 2015. More than 8,000 people suffered motorcycle accident injuries throughout Florida in 2015. The number of motorcycle fatalities increased by 27%, while motorcycle passenger fatalities increased by 72% between 2014 and 2015. These numbers reveal just how dangerous motorcycle accidents can be. 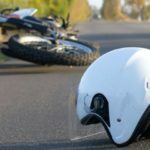 A motorcycle injury attorney at Weinstein Legal is ready to help you if you or a loved one has been hurt in a motorcycle crash. We understand how serious these types of accidents can be, and are dedicated to helping clients recover the maximum amount of compensation. Fill out our contact form or call 954-845-0505 to start your free case evaluation. It may be difficult for injured riders to recover compensation after an accident, which is why it is so important to consult with an experienced and knowledgeable South Florida motorcycle accident lawyer. Contact Justin Weinstein online now or call 954-845-0505. Seeking damages after a motorcycle accident can be difficult as an insurance company may diminish your claim or minimize your injuries to offer you the least amount of compensation you are owed. 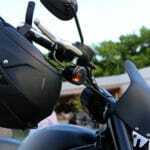 South Florida motorcycle injury lawyer Justin Weinstein can help you recover compensatory damages after your crash. These damages may include medical expenses, current and future wages due to lost time at work, property damage costs, and compensation for your mental anguish. 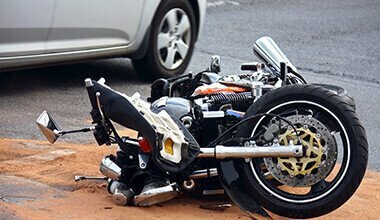 Although punitive damages are not common, after a motorcycle accident that led to catastrophic injuries or wrongful death, these types of damages may be sought. Punitive damages serve to punish the defendant and may be awarded in certain cases. Pursuing a claim with the help of a skilled motorcycle accident lawyer may help you in recovering the maximum amount of compensation you are entitled. Weinstein Legal’s personal injury attorneys can help you by collecting the accident and police reports, speaking with witnesses on your behalf, reviewing your medical records, serving as a liaison between insurance companies, and investigating the full details of your accident. Don’t hesitate to contact a motorcycle injury attorney you can trust. Florida law only gives accident victims a limited amount of time to file a claim.